Should you pursue adoption to build your family? Look through these overviews of the three main routes, including cost and requirements, to get a preliminary idea of whether there is an adoption route for you. Age requirements vary by country. Most countries require parents to be between the ages of 25 and 45 for an infant referral. Older parents may adopt toddlers and older children. For married couples, guidelines on length of marriage and number of previous divorces may apply. For singles, countries may prohibit placement or limit the number of children placed. Some countries explicitly prohibit gay or lesbian couples or singles from adopting. Most international adoptions cost between $25,000 to $45,000. Many families are eligible for the federal tax credit of up to $13,190 per finalized adoption in tax year 2014. 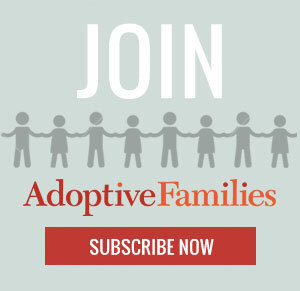 Continue reading “The Three Routes to Adoption: Fast Facts” on AdoptiveFamilies.com. Foster kids adoption. As a foster mother I have adopted 2 boys and the process was easy and cost free, Plus the state covered there health insurance and some os=f there cost. My boys were adopted at different times and are not blood related but they love each other very much! … I encourage people to adopt from the foster program the kids do not have to be from your state, there are many kids that are getting older and need a home! … I adopted my first kid when he was 2 and half years old and the second child was a little over 4 years old and I can tell you as a single mother it is all in what you can provide is amazing what love can do! Children do not need luxury and fancy toys. Family services provides classes and insurance has services with psychologist and parental classes. If you really want a child this is a great way to go. As us kids got older family alyaws had some one living with us. We alyaws loved it. We had a widow and her daughter live with us. A single young man moving here from out of state and trying to get on his feet. A troubled teenage girl. Traveling missionarys woudl stay for up to 3 months at a time. Basically whoever needed a place and would have- us. I am so grateful that because of this example of generosity and hospitality this has all seemed nothing less than completely normal to me. Even if we didn’t have someone actually living with us the holidays were alyaws celebrated with just as many friends and strangers as there were family members. The more the merrier! You are right that you may be robbing yourself of a blessing if you do not open your mind and home to this possibility. I am a single woman and thinking oF becoming a foster mother with hope of adopting. I am an adoptive mother age 48.; age 43 at birth adoption My husband is a professional. It was difficult at birth…I was, and still remain the primary care provider for our blessed daughter. A support group: extended family members are essential. Until the age of 4 years, very demanding. We wish you bright blessings! Keep the goal in the forefront – be Smart, Strong & Bold. Becoause the little one will need to hear this every day…to become Special, important, & Brave. Find a local adoption agency. From our experience, the counselors provide helpful guidance. Be supportive, and not gossip to friends about the Mothers” journeys. I am the mother of a 38 year old woman who desperately wants a child but reluctant to adoption of any kind at this time. She has undergone IVF unsuccessfully. I want to be able to provide accurate information to her and her husband regarding foster parenting adoption. I will need the entire process from beginning to end.